Bus timetables show schedules, fares, and map. They are available on the bus, at libraries and malls, and at Metro customer service offices. 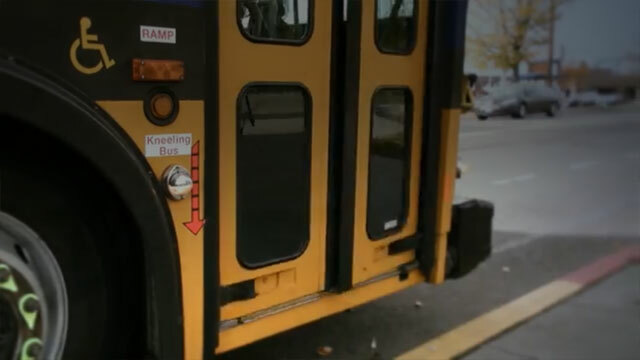 All Metro buses have ramps or lifts, and are accessible to senior citizens, disabled persons and riders who use wheelchairs. All Metro buses have bike racks. Let the driver know if you plan to load or unload your bike. At the bus stop, look for your route number on the bus stop sign. As the bus arrives, check the route number and destination above the front window. Enter the bus through the front door and pay your fare. Seats in the front of the bus are reserved for elderly people and people with a disability. You can pay to ride Metro buses with cash, a Metro transfer, a Metro ticket, or an ORCA card. You will need to tap your ORCA card, deposit exact fare or ticket in the farebox at the front of the bus or show the driver your transfer. Drivers do not carry money. When the bus nears your destination, pull the cord above the window to let the driver know you want to get off. Travelling is easier on buses light rail and trains when you use the ORCA card to pay your fare. The ORCA card can be an “E-Purse” onto which you load money to pay your fare. Or you can load a monthly bus pass which gives you unlimited riding for a month. 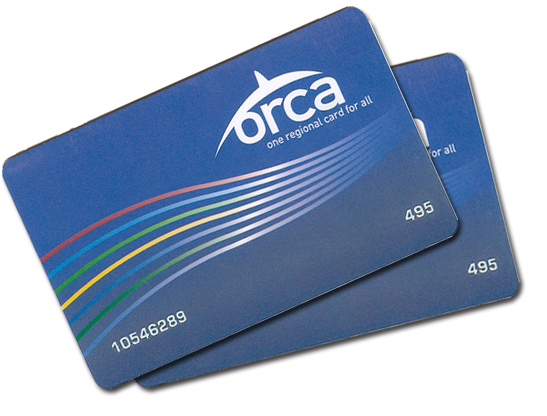 You can buy an ORCA card at Metro’s customer service offices, at ticket vending machines at light rail stations, online at www.orcacard.com, or by phone at 1-888-988-6722. The ORCA card does not work until you add money or a monthly pass to it. You may qualify for a reduced transit fare by using the ORCA LIFT card. Eligibility for ORCA LIFT is on income. Find out if you qualify at www.orcalift.com. If you are 65 years or older or have a disability, you may be able to apply for a RRFP ORCA card that will allow you to ride for a reduced fare. Contact Metro customer service for more information. To sign up, enter your contact info. If you wish to have both an email and text subscription, you'll need to sign up twice. To manage your preferences, enter your email or mobile number.